The project consisted of an expansion containing four equipment / process mezzanines, a second floor, four packaging platforms, and a break room expansion to allow the owner to add a third production line. The scope of work included all mechanical and electrical systems for line three. 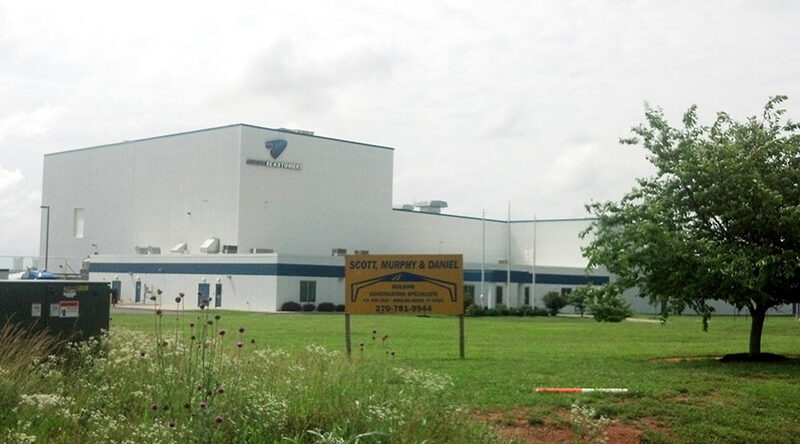 Scott Murphy & Daniel also set and installed all the equipment for a third manufacturing line and provided design for the future expansions of lines four and five.